It is the 31st millennium. Under the benevolent leadership of the Immortal Emperor, the Imperium of Man hasstretched out across the galaxy. It is a golden age of discovery and conquest. But now, on the eve of victory, the Emperor leaves the front lines, entrusting the great crusade to his favourite son, Horus. Promoted to Warmaster, can the idealistic Horus carry out the Emperor's grand plan, or will this promotion sow the seeds of heresy amongst his brothers? 5 stars is not enough for this. I cannot understate how amazing this story is. 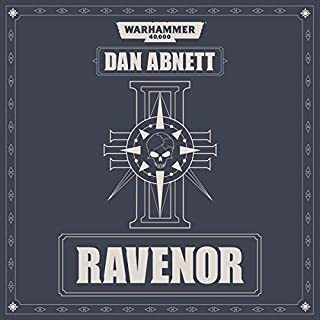 With the knowledge of how it all turns out, there is an air of majesty and sadness that plays out in this Golden Age that Dan Abnett has depicted. With a debate over the ethics of the argument “I’m right because I say I’m right” and a depressing hypocrisy towards those debating it, the foreshadowing of the eventual future we know and love is bittersweet. Abnett has written each of the primary Astarte characters as their own character, rather than simply copy pasting a single idea over multiple. 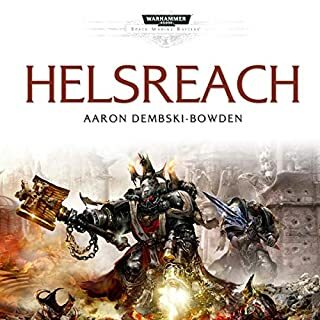 I’d highly recommend this to anyone who hasn’t read it, even if they’re not into Warhammer 40k. I felt emotionally invested the whole way through. loving and hating individual characters and choices. Great into into this amazing series. Great into into this amazing series. Well narrated and great story line. Thoroughly enjoyed it. amazing!!! can not fault this at all!!! what an opening up an amazing saga. no regret! literally just bought book 2 and if this is anything to go off. book three will be straight after! 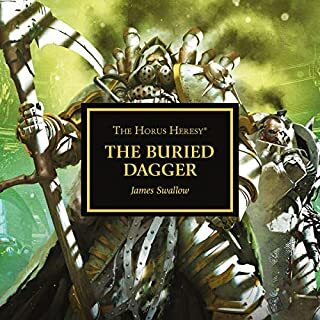 For my first audio book and my first Warhammer 40K book I was absorbed wholly into this book. 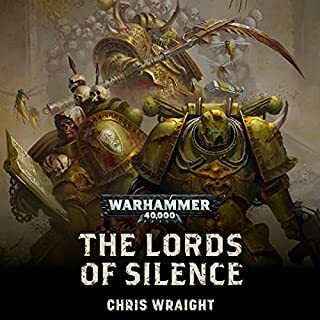 Thank you Black Library for coming to Audible! Dan Abnett is really good at building this universe and character depth. Narrated by Toby Longworth, I really like his range of voice and they fit well with all these heroes and heroines. Great combo, the next few books are also great and even better on audio. I suggest atleast the first 4 audio books to get started, then you can decide from there were to go next, there are a ton of good books in this universe. And the Primarchs series is also good. Even if you do not know anything about the board games, video games and warhammer universe, these are great books and fun reads. This is war. War against aliens, orks, demons and more. There is politics and religion, honor, deception and tragedy in space, but mostly war. In the far distant future mankind has spread across the universe and many branches of humanity have been lost for 1000's of years. 1. The Emperor of Mankind: A immortal human, given power beyond any being in the universe, by powers beyond space and time, serves as the ruling monarch of the Imperium of Man. 2. The Primarchs, created by the Emperor, were the 20 genetically-engineered trans-human sons of the Emperor of Mankind. Made in his likeness and created for war. They were intended to be the immortal and superhuman leaders who would command the Emperor's 20 &quot;Astartes&quot; Space Marine Legions and find and reunite the lost branches of humanity throughout space as well as bring all worlds and peoples into compliance, that is under one ruler, the Emperor. Primarchs were 12 to 15 feet tall. And bigger/ bulkier than the Astartes Space Marine they lead. Astartes Space Marines were 7-8 feet tall; about 150% bigger/ bulkier than humans. (just to give perspective). 3. Astartes Space Marines: bio-engineered immortal warriors, to fight the foes of the universe till the end of time and reunite the lost branches of humanity throughout space. &quot;They shall be my finest warriors, these men who give of themselves to me. Like clay I shall mold them and in the furnace of war I shall forge them. They shall be of iron will and steely sinew. In great armor I shall clad them and with the mightiest weapons shall they be armed. They will be untouched by plague or disease; no sickness shall blight them. They shall have such tactics, strategies and machines that no foe will best them in battle. They are my bulwark against the Terror. They are the Defenders of Humanity. In the future there is only war, and it makes for a great story. 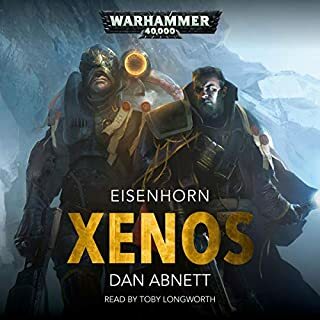 Well written by Abnett, and narrated wonderfully, this is a must for 40k fans and sci fi afficienados. 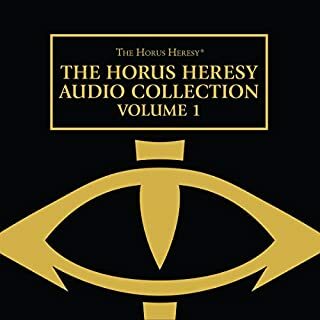 Would you listen to Horus Rising again? Why? No because I would rather listen to the next books in the series and there are many of them, although I could certainly enjoy listening to this again and again. What other book might you compare Horus Rising to and why? I've read a lot of sci-fi and my favorite genre is what is called "military science fiction". This is by far the best of this genre I have ever read, and it only gets better in books 2 and 3. Currently I am on book 4. Longworth's voice is rich, powerful and dynamic enough to make you believe the different characters. This is a top-notch reader. No because I wanted to relish it and look forward to a chapter or so per day and the chapters are quiet long. However, if I was on a long drive cross country this book would make an excellent companion. If you love military sci-fi, then this series is a must read. It's gritty satisfying stuff with great characters and interesting plot twists. It doesn't matter if you played the Warhammer games or even know anything about it, because you will enjoy these books regardless. Although I should warn you much of it is very dark and disturbing. I am currently on book 4 and completely addicted to this series. It's no exaggeration to say that this is the most entertaining thing I've read in years. I highly recommend it. I was really looking forward to this book, and I was not disappointed. 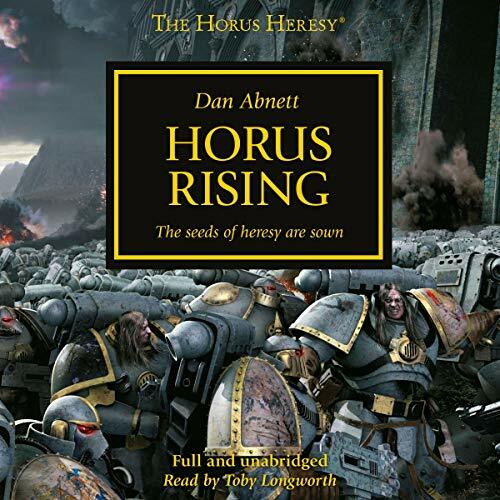 Dan Abnett is one of my favorite Warhammer writers and Toby Longworth is without a doubt my favorite narrator for the books. Story itself was epic and grand and a great prelude of things to come. It is also sad in a way knowing the fate that is to befall many of the great heroes in the story. I can’t wait to listen to the rest. One down, only about 40 more to go. Oh boy. 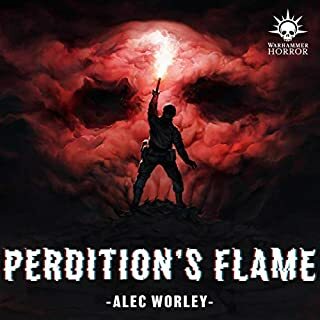 This book is a must read/listen, the narration is hands down the best I've heard, the voices of each character is amazing and gives such life to the book that I don't think I could muster in my head reading it quietly to myself. very good and unexpectedly well performed. solid read. Great start to the series. Could slow as it jumped from characters. Loved seeing the interactions of characters though. A great book to a very very long series. Pulls you in and keeps you going till the end. Horus Rising was spectacular. I have listened to a few Black Libary audio CDs and most have disappointed me. Mainly due to their length, most are only an hour or so long. Horus Rising is over 12 hours long and they are 12 truly amazing hours of splendid back story. This story achieved to paint true depth and colour onto so many key events and characters that I was only basically aware of before. The best scene for me was the diplomatic dialogue that occurred between Horus and his counterpart. So wonderfully well written and the voice acting was splendid in its execution. Only recently started the black library, this is my second book, and I’m really enjoying it so far! Toby does a great job with narration! 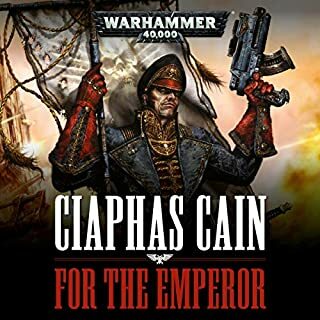 I thoroughly enjoyed it, casts a completely different side to the warmaster and his legion. 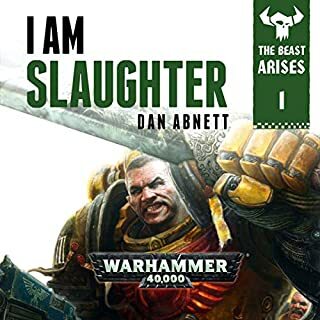 Dan Abnett is possible the best living Sci-Fi author. Toby Long is one of the best Narrators particularly of Gothic fantasy. The two of them together are fantastic. 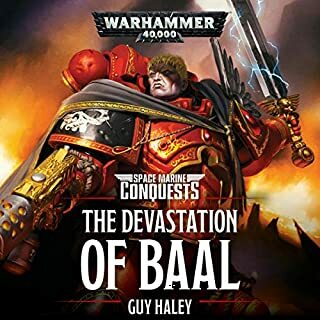 This story makes a great kick off to the Horus Hearsay, but possibly not the best start to Warhammer 40k fiction as a whole. If you could sum up Horus Rising in three words, what would they be? 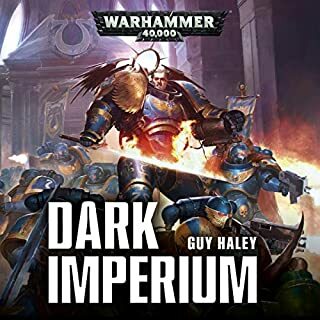 This is the place to start with Warhammer 40k arguably it's best author takes on the Imperium just as it's golden age is about to end. It's a smart, funny, visceral and violent tale but if you've any interest in the Warhammer universe I'd start here. 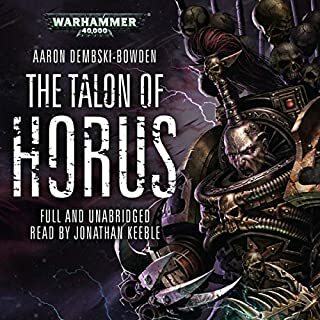 I’ve listened to a number of Audio books now, this one is awesome and such a good start to the epic that is The Horus Heresy. Really good story engaging and made me love the Luna wolves and feel sad at the knowledge of what is to become of their honour and sorry for Logan and Hourus. Would really recommend very very good did not expect it to be that good. P.